Shot blasting is a post-production finishing service that is processed through the rapid impacting of a part’s surface with a defined amount of abrasive material. This results in a faster and more efficient process when compared to filing for flash removal that remained on a die cast component after the zinc or aluminum die casting process. 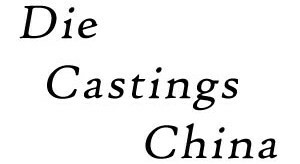 By using very specific types and amounts of shot material, Die Castings China can shot blast parts of all sizes and shapes. For example, tiny steel shot is utilized to produce a very polished and smooth surface. Larger shot sizes can aggressively remove heavy flash. Acrylic – The softest (plastic family) abrasive that’s utilized for very sensitive surfaces. Type 5 grade, longest lasting plastic media – while still providing an effective strip rate. Aluminum Oxide – Sharp, long lasting abrasive cutting media that can be re-used during several cycles. Aluminum Oxide is available in varying sizes and is much harder than most dry abrasive blast materials and can cut some of the hardest metal types and surfaces. Corn Cob – Biodegradable blasting material that won’t warp or scratch the surface being blasted. This abrasive material type is perfect for thin metals and plastics. 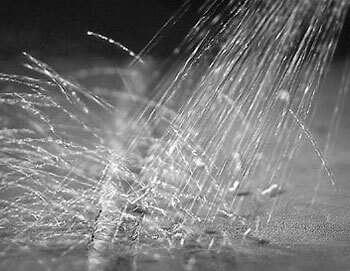 Crushed Glass Grit & Glass Beads – silica-free, consumable abrasive, offering aggressive surface profiling and coating removal. Fully produced by recycled glass, this material is known for producing a brighter, very clean finish when compared to slag/mineral abrasives or angular abrasives. Glass Beads can be recycled up to thirty blast cycles. Melamine – The hardest plastic family abrasives, offering a perfect balance of speed, performance and cost efficiency. Melamine is particularly ideal for projects that require high stripping rates, without damage to the sub-surface. Pumice – This is the softest blasting material. However, Pumice offers an excellent stripping functionality. This is excellent for blasting Aluminum to remove paint and coatings with no impact on the substrate. Silicon Carbide – The hardest blasting media available at Die Castings USA. Providing a very fast cutting speed, can be reused a lot more than both Sand and Aluminum Oxide. Silicon Carbide hardness allows for much shorter blast times and lower overall cost per hour when compared to other types. Steel Grit – An angulared carbon steel; engineered for effective and rapid removal of surface contaminants from metals. Much softer than Aluminum Oxide. Also a lot less likely to fracture, while still providing an etched surface for improved coating adhesion. Steel Shot – This is the best method for peening to impart a clean, smooth and polished surface finish. A very smooth and heavy shot can be recycled more than 3,000 times for die cast parts. Additional benefits include minimal dust produced during the shot blasting process and increased compressive strength of the product’s surface. Urea – By far, the most commonly used plastic type. Customizable in varying sizes to deliver an efficient stripping rate, while preventing material warping or surface damage of the substrate. Walnut Shell Grit – versatile organic abrasive type. Used as a very cost efficient shot blasting material for fragile operations that need an aggressive stripping without affect on the substrate.